In our LDC clinics, there is no such thing as an embarrassing query. In fact, we can pretty much guarantee that whatever your concern is, our doctors have dealt with something similar before. We understand the nuisance that periods can have, and are happy to discuss a better management plan for smoother surfing of that monthly crimson wave! So, if you need a private GP London Doctors Clinic is here for you. For those who don’t know, a period is the monthly bleed a woman experiences as part of her menstrual cycle. This occurs approximately every month, usually every 28 days, but some women can have anything between 24 to 35 days between each period. The bleeding itself can last for anything between 3 and 8 days. Most women bleed for about 5 days, on average. The bleeding tends to be heaviest on the first 2 days after which it gets lighter until it stops. You might notice changes in the colour of your period as it goes on – this is completely normal! When the period is heavy, you will notice bright red blood. When it is lighter, you might notice bleeding that is pink, brown or even black. Periods begin as part of puberty. Most women start their periods around the age of 11 although many can start earlier or later. If a girl has not started her periods, this usually isn’t something to be worried about, as long as she has started having regular periods between the ages of 16 and 18. Premenstrual syndrome (PMS), also sometimes known as premenstrual tension (PMT) can also be experienced by some women. This involves a range of physical and emotional changes associated with the hormonal changes that take place during the menstrual cycle. Symptoms of PMS tend to get better once the period starts and go away entirely a few days later. Not all women get these symptoms, so if you don’t, count yourself lucky! You are at your most fertile when you ovulate, which is approximately 12 to 14 days before the start of your next period. There are online period calculators which can help you estimate when you are due to ovulate if you are trying for a baby. Alternatively, if you would like to avoid getting pregnant, there are many hormonal contraceptives such as the pill or the coil which can stop you getting pregnant. You can get further advice about these from your GP or private GP. Women can sometimes find their periods change – they might get longer, heavier or lighter, for example. If your periods have changed, it is worth a visit to your doctors surgery just to make sure everything is OK. This abnormal bleeding may be because of infection (such as an STI), abnormalities at the neck of the womb (cervix) or, more rarely, cancer. Women lose on average 30-72 mL of blood during each period (that’s 5-12 teaspoons! ), although some women can experience significantly more bleeding, which is know medically as menorrhagia. This can be quite unpleasant for women, requiring very regular changing of tampons or sanitary towels, and the looming fear of bright red leakage through clothing or onto bedding! 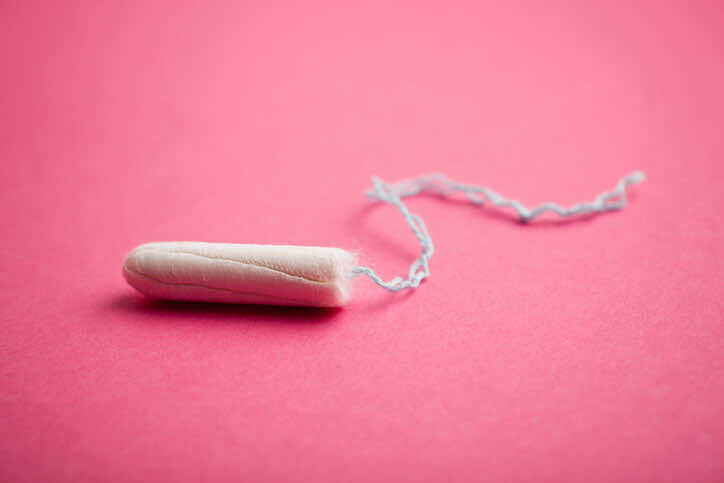 A period is considered especially heavy is you find yourself needing to change you pad or tampon every 1-2 hours, or use both a pad and a tampon simultaneously, in order to avoid leakage. Similarly, if your period is so heavy it floods through pads and onto bedding or clothing, you should consult your GP. Moreover, if you are experiencing especially heavy periods, or if your periods are lasting over 7 days, or if you have a period more than once a month, it’s important to get this checked out with the GP! Another of the many disadvantages of periods, is the pain that can often accompany them. In most cases, this can be effectively managed with anti-inflammatory painkillers, such as ibuprofen. However, in some cases, this pain can be debilitating and severely impact your daily routine. Should your period pain not be effectively managed by such over-the-counter pain medications, don’t suffer in silence: your GP can help you work out a better way to manage this. If you’ve missed a period and are sexually active, it is important to check whether you might be pregnant. Pregnancy tests are available not just from pharmacies, but from many supermarkets too. If you have missed 3 or more periods, and you have taken a pregnancy test which is negative (i.e. you are not pregnant), it is worth seeing your GP to investigate for other any other causes of absent periods (amenorrhea). Women will continue to have periods until they reach the menopause, which is defined as 1 year of no periods. Most women go through the menopause in their late 40 to early 50’s, with the average age of menopause for women in the UK being 51. Some women find their periods gradually come less often while others find they suddenly stop. Every woman is different! Approximately 1 in 100 women will go through an early menopause. This is when the menopause occurs before the age of 40 and is also called premature menopause. If you would like to discuss any of the above topics in more depth, we recommend you book in for a 15-minute consultation with one of our fantastic private GP’s. All of our GP’s are able to advise on issues regarding women’s health, however should you prefer to discuss such matters with a female GP, simply give us a call and we’ll ensure you see a lady doctor. With eight private clinics across central London, we should never be too far away when you need to find a GP.